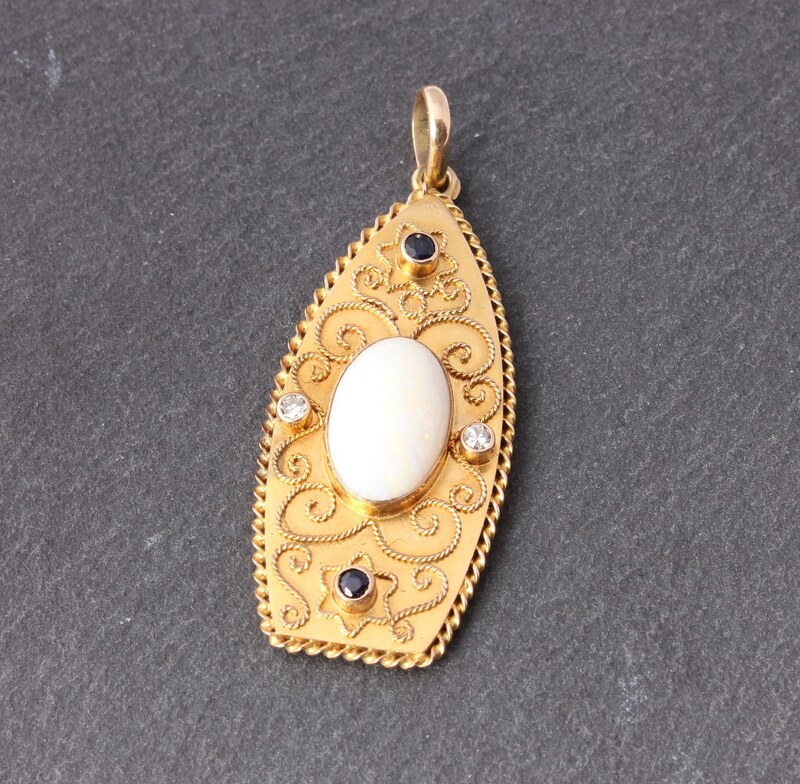 18ct Yellow Gold White Opal Blue Sapphire & Natural Diamond Necklace Pendant. 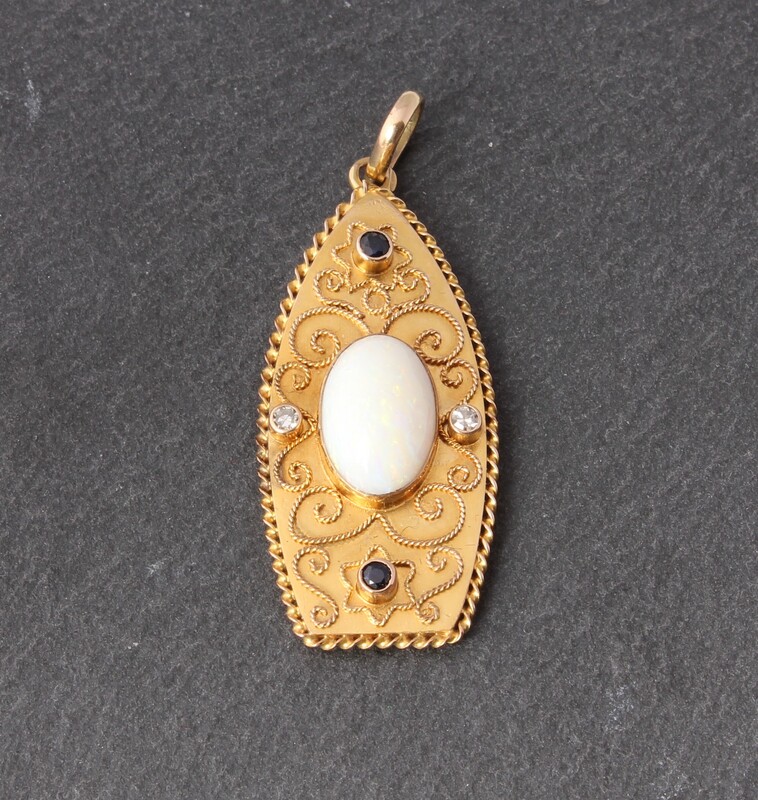 This wonderful and unusual necklace pendant is crafted in 18ct gold and is adorned with filigree work to the lozenge shaped pendant. 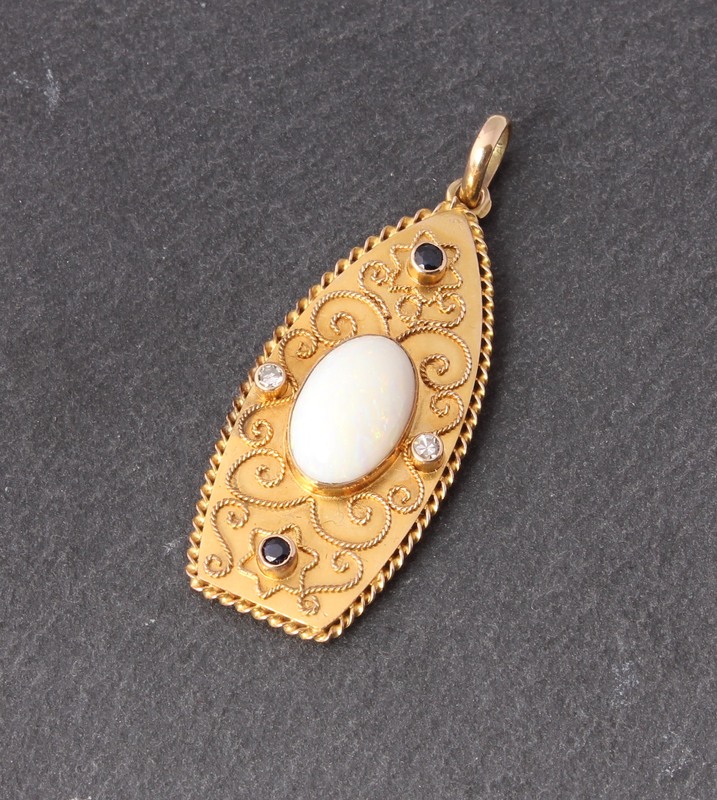 The gold bale is set with a lovely central white cabochon opal, 2 sapphires and 2 round cut natural diamonds. Would make a really lovely gift. Materials: 18 ct yellow gold. 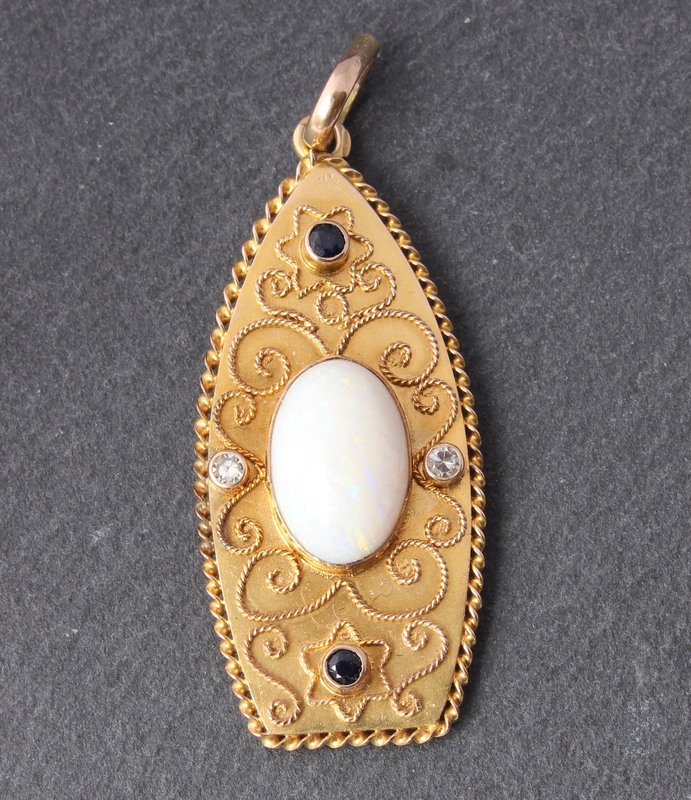 1 cabochon opal est 3.6 ct. 2 natural diamonds that total est 0.06 ct. 2 sapphires that total est 0.06 ct. 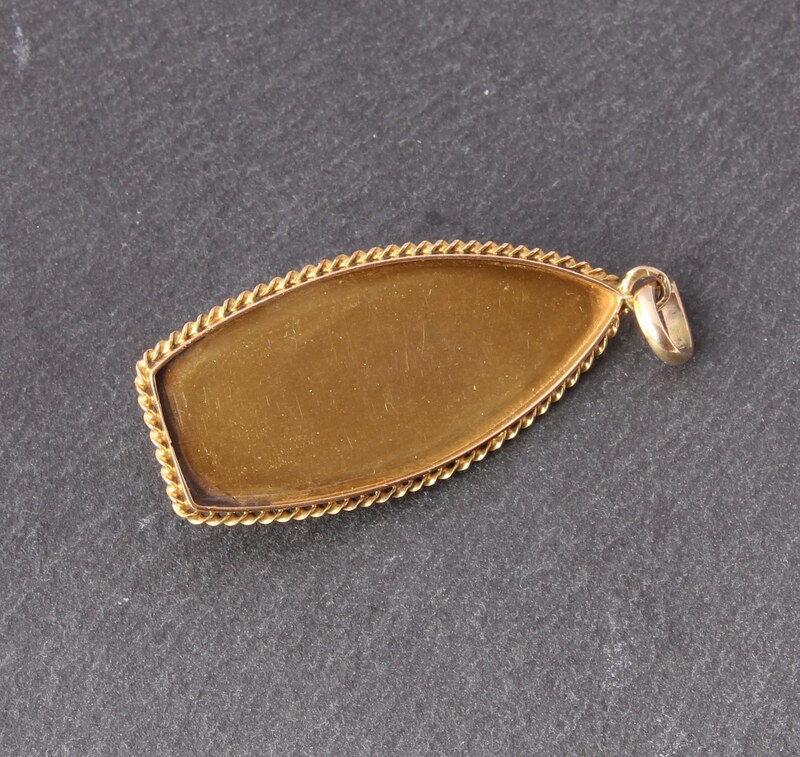 Size: 4 cm long approx. Hallmarks: Hallmark is worn. Tests as 18 ct gold. Comes in a gift box.. Condition: In very good condition. Hallmark is worn. Please see pictures.